Many young black academics, however, have expressed concern about the ability of ‘politically black’ academics to adequately represent and elucidate the experience of ‘ethnically black’ women. The social media backlash began in earnest a couple of weeks back; contact was made with the organisers, and though I am not clear on any solution negotiated, initial responses seem to have agitated the matter further. While I am no advocate of the term ‘politically black’, I caution those vehemently opposing its use in the dialectical lexicon concerned with race. Yes the term conflates those who regard themselves as ethnically black with those who unite under a shared banner of oppression. This is highly contentious to say the least – for reasons others have long already tackled, and will no doubt tackle in great detail in the future. However, and I will be short on words here; the newer breed of young scholars and activists who take offence to its use, who consider it a ‘redundant’ term, should be careful about arbitrarily excluding an entire generation, who are still very much alive, from an important conversation. This is a generation that sharpened their intellectual and activist teeth under this banner, and for who the term still holds relevance. This apparent ‘redundant’ generation did not use the term ‘politically black’ as a means to undermine as yet un-conceived ethnically black academics, no, they embraced this term because it made sense for their age, for the context in which they were living. We should grant them the respect and honour for what they have contributed to the discussions around anti-racism, representation and identity. And indeed, their contributions are many. Heidi Mirza, Sara Ahmed and others – prominent advocates of the blanket term ‘politically black’ – have contributed significantly to the discussions of race within the UK. Mirza in particular has made some significant contributions to the discussion of black feminism in this country – contributions that shape the academic foundations of feminism in Britain today. Now, while acknowledging that I have not engaged in the full spectrum of Mirza or Ahmed’s work, I am reticent to publicly condemn, attack or undermine the work of a generation of politically black individuals whose intentions, I believe, should be beyond question. Does this mean we should not re-evaluate the relevance of such a term in contemporary society? Absolutely not! A new conversation is most certainly in order. With the fracturing of various ethnic groups – all fleeing from under the umbrella of political blackness, and a growing number of ethnically black academics and thinkers trying to produce and interrogate issues specific to African or ‘ethnic’ blackness, it makes sense we rethink our stance. Without such a conversation it makes it difficult to interrogate the insidious anti-blackness rife among non-white communities, or even speak on the nuanced experience of minorities in regards to educational, academic and economic attainment – areas that reveal vast distinctions between Asian, Caribbean and African communities. These valid concerns aside, I would not wish, as I have previously stated, to see an attack on very influential and important scholars who identify as politically black, particularly when those individuals have contributed so favourably to discussions around race and identity. Again, I urge caution, not only because they are our seniors, in so many ways – having contributed more than our short lives have yet to – but also for the sake of fostering intergenerational dialogue, that will guide our collective concerns to solutions and not further antagonism and disintegration. Our focus should be on the institutional structures that consciously, or not so, continually exclude voices of ethnically black academics, in favour of brown academics that consider themselves politically black. Personalising these issues will not make a dent in the structures of inequality and misrepresentation this discussion seeks to address. Key stakeholders and decision makers within university spaces need to be aware that hiring someone who considers themselves ‘politically black’, does not mean one has diversified their staffing body to better reflect the ethnic make-up of London, or the UK. It does not mean one has hired someone with a lived body of knowledge and experience related to African and Caribbean communities. It does mean, however, another brown academic has secured a prominent opportunity to talk about, and undertake funded research, on issues related to ethnically black communities – further increasing the number of brown academics beyond the embarrassing amount of black post-graduate scholars given the same opportunity. Those who consider themselves politically black need to be reflective enough in regards to how such self-definition can become a hindrance, a silencing mechanism, to the voices of ethnically black individuals within the academy. Indeed it is incumbent upon the politically black to realise that the term is losing, if not has already lost, its historical meaning among most contemporary ‘minority’ communities, and does not signify what it once did among young academics engaged in discussions of race. The era of the politically black is in its death throes, though it does not mean solidarity must go the same way. If however we do not address this issue soon, and most importantly, address it in a respectful and conducive manner, I suspect it will be a site of growing conflict and disillusionment among participants of this important struggle. Political blackness does not sufficiently describe my life, nor my political and cultural outlook, however, it is political blackness that has enabled my generation to consider so much more about race and identity within our contemporary society than previous generations were able. Let us engage with respect and compassion, not least for the generation we ourselves precede. I don’t understand this concept. How can you ‘self-identify’ as black if you are not ethnically black. To me this would be similar to someone self-defining themselves as transgender, when in fact they are not transgender but male, and gay. Their gender identity is fixed; They’re not explicitly ‘trans’, but they are homosexual; so they have experienced a wider form of sexual repression yet they have not and will not experience what that trans person has experienced. For them to claim the space and identity of a trans person, without being trans, surely in many ways negates and invades the identity space of said trans person. While the support is nevertheless originating from a source of good intentions, it overrides the unique forms of oppression of individual groups and could be argued to be oppressive in itself. Self-identifying as black when you are not ethnically black will colour-blind all people of colour, and ignore for instance, the fact that many ethnic Asians may not experience similar levels of poverty or racism as their black female counterparts. If a woman of Saudi Arabian/Middle Eastern ethnicity is elected for instance, and ‘self-defines’ as black, where no black individuals were ever elected before her this is a huge issue. Why can’t the focus be wider, like LGBTQs uniting under a sexual or gender identity that is outside of societies expected ‘norms’ or ‘desirabilities’ and thus has been connected to sexual repression throughout history. Each identity group has its belonging under a wider umbrella. You see now more than ever that trans activists are really defining their own space within this. If gay men were to start self-identifying as trans when they are not this an affront to trans space. Thanks for this. In commenting, I don’t seek to minimise the issue of the side-lining of ethnically black academics under the umbrella term ‘politically black’, or the anti-blackness rife in non-white communities; I agree that this is an important debate to be had. But I just wanted to add that in my personal experience, such side-lining or exclusion, whether intentional or unintentional, is not as one sided as one might think from reading this article. For instance, I (a person of South Asian descent) recently attended a meeting of an organisation dedicated to exploring intersectional experiences and whose membership is open to those that identity as politically black. I was the only one there who was not ethnically black. While I don’t think I was excluded intentionally, the topics of discussion, the literature disseminated and the use of ‘us’ and ‘them’ language, where ‘them’ were non-ethnically black groups rather than majority white groups, did make me feel like I was some sort of interloper. As I said, I am commenting to add another perspective rather than because I disagree that this is an important conversation to be had. I don’t think the exclusion in my case came from any sense of malice. But perhaps when there is potential for slippage in terms that are used in discussions of race, there should be greater efforts made to ensure transparency of intentions, so that all non-white parties can contribute to fighting oppression(s) in an way that is appropriate and sensitive to all activists against racism. Great point Shabana. I find that sometimes im not welcome in black spaces (rightfully so possibly)- yet at the same time much of the activism i see (and im happy to see) comes from black (African/Caribbean) communities. Please note, this event, a conversation between Professors Ahmed and Mirza is part of a SERIES in the lead-up to the launching of the MA Black British Writing at Goldsmiths in 2015. Previous events this year have included Black British poets Dorothea Smartt, John Agard, Grace Nichols, Kadija George ; the novelist Bernardine Evaristo and biographer Andrea Stuart in conversation; a panel with Dr Robbie Shilliam, Courttia Newland and Sara Myers, and forthcoming is the second Renegade Raconteurs (the first being an evening with Darcus Howe, December 2013): ‘An Evening of Political and Critical Conversation’ with Diane Abbott, Simon Woolley and Hannah Pool in conjunction with the Students’ Union. The aim is to achieve momentum and recognition for this MA and its existence as the first degree in the world dedicated to this field. Please support it, it addresses directly, issues that universities in this country need to acknowledge regarding under-representation of black academics, and curricula that centres black people’s heritages. 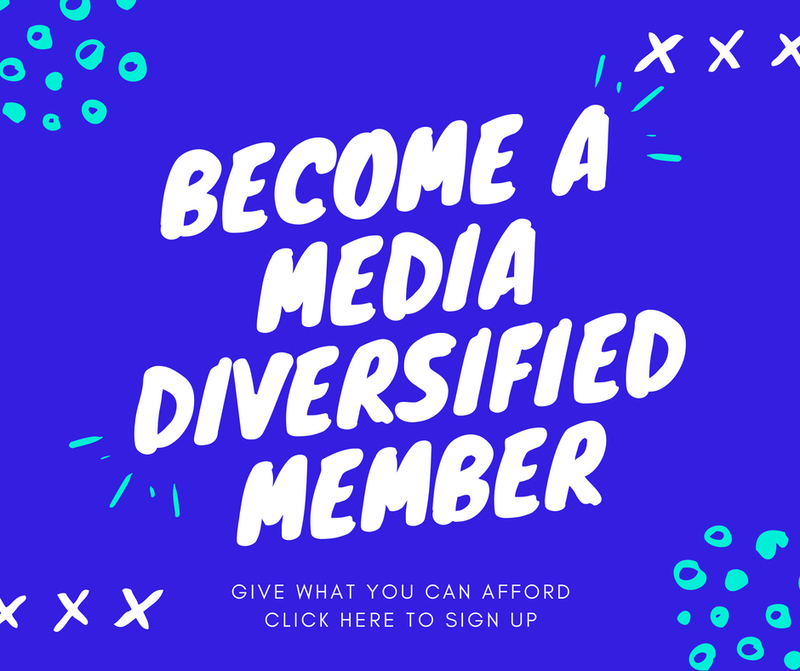 Thank-you Media Diversified for your support of the MA Black British Writing and also sincere gratitude for supplying a platform for writers to produce polemic about debates that do not often achieve their much-needed circulation within cultural institutions. Warmest wishes for your long continuation.